感恩您們的大力支持, 12月 5日的舊書義賣總共募得 $661. 善款. 我們以西雅圖慈濟人文學校全體學生家長老師名義捐到慈濟慈善志業, 幫助慈濟在土耳其為敘利亞難民兒童成立的滿納海中小學, 感恩所有的家長在為您的孩子選購書籍的同時, 也幫助了其他家庭孩子受教育的機會. 今年的新春活動將在 2/13/2016 舉行. 感恩去年幫忙的家長以及今年有意願幫忙的家長在上星期六與校方開會, 有了一個最初步的策畫, 我們將在 12/12 向大家說明, 並邀請更多的家長一起來為孩子們留下美麗的回憶. Together, we accomplished a great book sale for Syria Childern’s education fundraising. 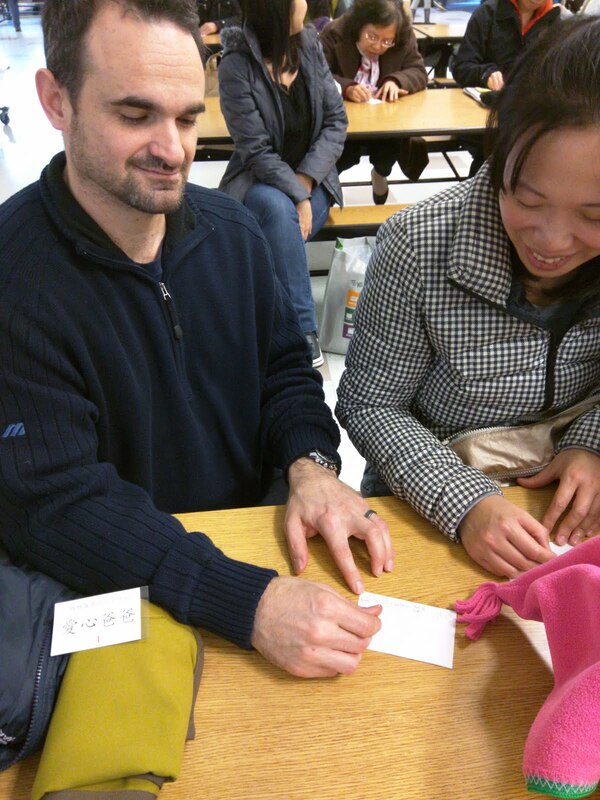 Last Saturday, 12/5, we raised $661 from the sale. 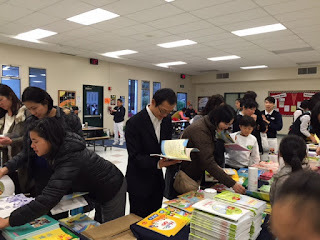 The money has been donated to Tzu Chi Foundation in the name of students and family of Tzu Chi Academy Seattle. It will be designated to support the Syria refugee children’s education in Turkey. Your participation and aide are much appreciated. 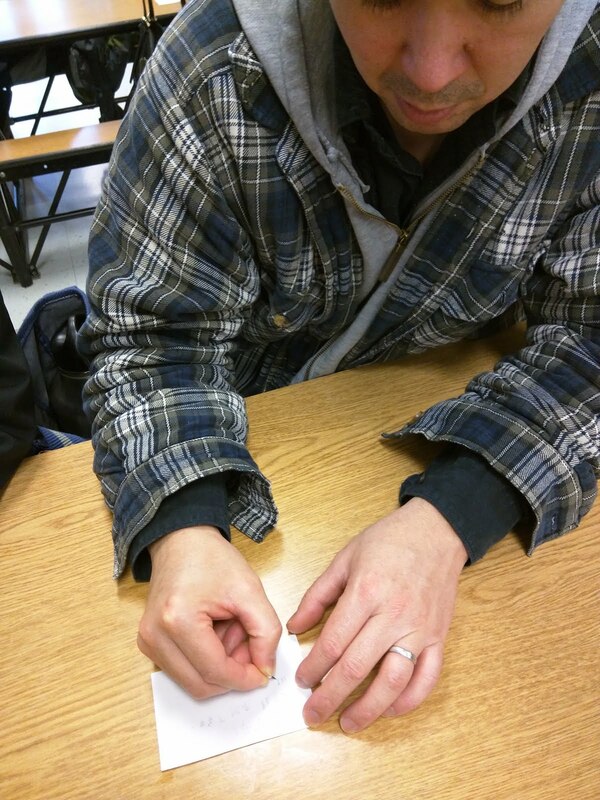 The planning for Chinese New Year celebration has kicked off last Saturday. There are exciting ideas circulating! The second meeting will be held at 11:00 on 12/12. We need more parents to involve and help out. Please join the planning meeting in school cafeteria. It is also a great opportunity to meet old and new friends while we support our children’s education. As promised, the third parent class will be given on 12/12, from 11:20 ~ 11:50 AM. We will talk about an award-winning design made by Tzu Chi Foundation. Please join us to learn why Tzu Chi invent a folding bed through their mission? During the class, a real product will be brought to the class. You can try it out or test it. You would learn why it wins the world award. Don’t miss the opportunity! Look forward to seeing you at school cafeteria. 由於慈濟西雅圖支會即將搬新會所, 校方在整理舊的資源室時, 決定把18 年來累積的一些各方捐贈而學校不再需要的兒童故事書以及不再使用的教科書,作業本於 12/5在學校舉行舊書義賣, 歡迎家長前來請購. 我們會將獲得德國紅點設計大獎 (Red Dot Design Award) 最高品質獎的"淨斯多功能福慧床"帶到現場介紹給大家, 機會難得請勿錯過. Please join the following two activities on coming Saturday and next week Saturday in the school cafeteria. Used books sale, all funds raised will go to Tzu Chi Foundation to support Children of Syrian Refugee in Turkey to continue their education. Please visit the cafeteria on 12/5 and pick some Chinese books for your children, at the same time, help other children’s education! The following videos are for your reference. The third Humanity class for Parents will talk about an award-winning bed by Tzu Chi. Would you like to know why Tzu Chi invent a folding bed through their mission? We will bring one to the class for you to try or test on. Don’t miss the opportunity!